The Northern Neck Chantey Singers will perform on Sunday, February 26, 2012, at 3:00 p.m. at St. Clare Walker Middle School, 6814 General Puller Highway, Locust Hill, Virginia (map). The group sings the work songs of the menhaden fishing industry of the Northern Neck of Virginia. Reedville, Virginia, has long been the center of the menhaden processing industry. Unfit for human consumption, menhaden are bony, oily fish that have practical uses in products such as fertilizer and animal feed, paint, cat food, and fingernail polish. Menhaden travel in large schools and are most efficiently caught in nets. Traditionally the work of pulling up these large heavy nets was carried out predominately by African-American crews, hauling thousands of tons of menhaden every year. Drawing upon the deeply-rooted African-American work song tradition employed for many types of manual labor, menhaden fishermen accompanied the back-breaking hauling with call-and-response style singing. These work songs, known as chanteys, provided the net workers with energy, camaraderie, distraction, and spiritual encouragement, making the hard work seem easier. In the mid-twentieth century, the introduction of hydraulic power blocks to pull up the nets began replacing the large fishing crews, eclipsing the unique music tradition which accompanied their work. 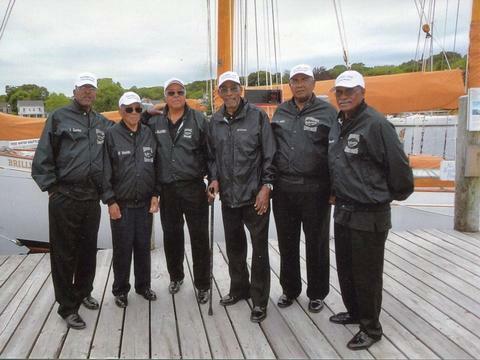 The Northern Neck Chantey Singers are all former watermen who worked in the menhaden industry. Led by Elton Smith, Jr. of Shacklefords, Virginia, the group also features William Muse, Lloyd Hill, Christopher Harvey, James U. Carter and Lloyd Blackwell, Jr. By singing these songs to audiences all over the country, the Northern Neck Chantey singers help to preserve and keep alive the African-American tradition of chantey singing. The public is cordially invited to attend the performance. Come and experience an important piece of African-American culture. Admission is free. The program is co-sponsored by the Middle Peninsula African-American Genealogical and Historical Society (MPAAGHS), the Middlesex County Museum and Historical Society, and the Middlesex County Branch, National Association for the Advancement of Colored People (NAACP).